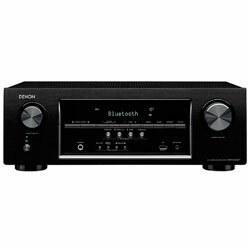 The Onkyo TX-SR373 has a really good power. For example, the operational power consumption is 210W, and power consumption in a standby mode is 0.3W. It has the economic mode (standby) and the opportunity to disable HDMI Control. 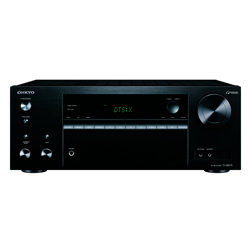 Before starting to get acquainted with the Onkyo TX-SR373 specs, I decided to check the visual side of the device. It has a very laconic appearance: a volume and a standby controller are the biggest objects on the front panel. 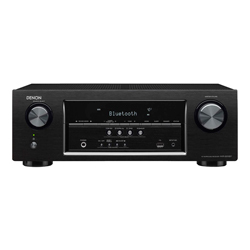 The receiver itself has a monochromatic black color. There are no fingerprints on it and the corps looks really very reliable. A great number of ventilation holes allow staying the device relatively cold even in a case of heavy load. The remote controller looks very stylish. It has black and white buttons, which help control the management process. 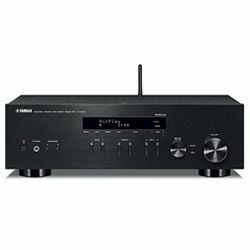 The receiver doesn’t have Internet radio but at the same time, it proposes 30 preset FM/AM stations. 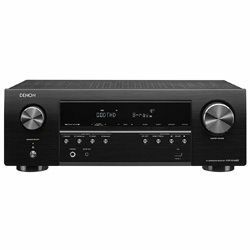 The Onkyo TX-SR373 review shows that the device has only Bluetooth and such a feature is enough for the music streaming from the mobile phone or PC. 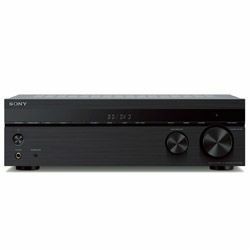 The dual-zone feature allows enjoying the sound in different rooms. The inbuilt clock and sleep timer work well and the first one automatically adapts to the conditions even after de-energizing. I use Amazon Prime Music, Pandora, and other platforms as my music source. All of them sound very well; moreover, I can finally hear all the details and musical techniques. 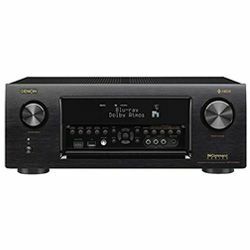 The Dolby Digital Plus, Dolby Sound, and Dolby TrueHD help get the required sound and demonstrate all the possibilities of my speakers and subwoofers. 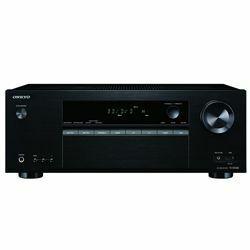 The powering on the Onkyo TX-SR373 takes too much time. I need to wait nearly 30 seconds to start making different operations. The sources switching is also very slow. 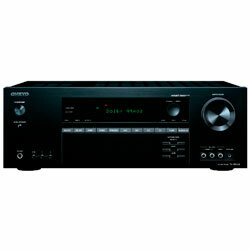 Due to the advanced music optimizer, the compressed audio quality becomes really much enhanced. The menu proposes a lot of sound settings, which can match my preferences. The adjustment is required when watching movies in a language other than the original. I think it depends on the translation’s quality. I turn on the dynamic leveling system by channels because it can automatically emphasize on the central channel. The USB is my disappointment. 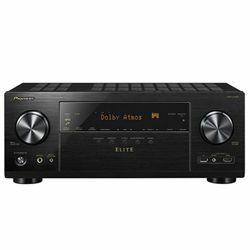 It is able to play randomly only nearly 200 songs, and then the device starts choking and producing some strange noise. 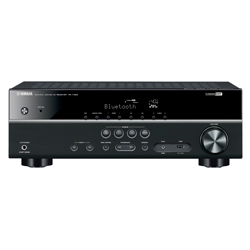 The receiver also has 2 AV inputs, 4 HDMI inputs, and 1 HDMI output. They work without problems. I can’t use also the 1 phones input because the plug doesn’t react on the connection. The setting process is very understandable. Each step is clearly displayed on the screen. Even some errors during the installation is not very crucial because I can fix them seamlessly. The printed manual is absent, but it’s not a problem. Required information is represented with the help of the on-screen guide or I can find it via the Internet. 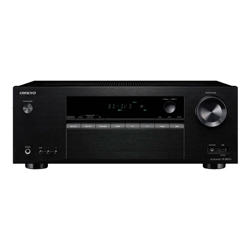 The Onkyo TX-SR373 is able to perform all the most popular and important functions. 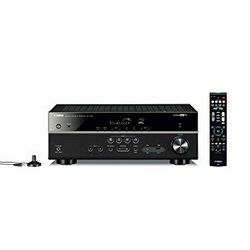 With its help, everyone can have great sound and amazing image for watching movies and different TV programs. The internal menu is easy-to-use and has a great variety of modes.